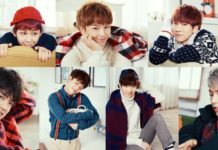 BtoB is a boy group who has debuted for five years. 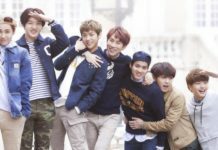 They have great discography, an unbreakable brotherhood bond, abundant personal activities, and a loyal fan club named Melodies who are loyal and always have their idol group’s back. However, we cannot ignore the fact that no matter how devoted their fans are, BtoB members are also humans who want to be personally loved by their dear ones. Consequently, it cannot be helped that they may choose to date secretly in order to not hurt their fans’ feelings. However, is this hypothesis true? 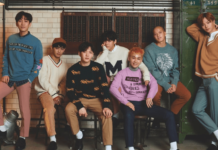 Are the members of BtoB currently dating secretly behind their fans’ backs? 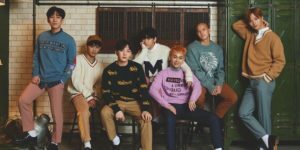 Thus, in this article, Channel-Korea will dig for deeper insight into the subject of BtoB’s dating scandal and compile some of its members’ dating news that you obviously do not want to miss out on. So, keep reading, dear readers! 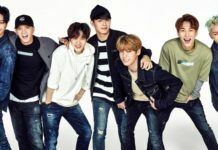 Almost all idol groups in South Korea, be it a girl group or boy group, have a dating ban given by their agencies for a certain period. 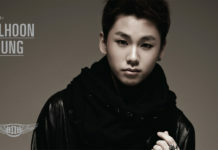 However, this kind of prohibition is not applied to BtoB. 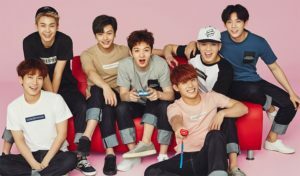 On 30 July 2015, BtoB came to SBS Power FM ‘Kim Chang Ryul’s Old School’ radio show as a guest. When the group was being asked about dating restrictions, the member Minhyuk answered that he personally never heard anything about the subject being brought out by their agency, CUBE Entertainment. Besides explaining the absence of dating restrictions, Minhyuk also picked the fellow member Peniel as the first person in the group who would date and be involved in a relationship. He reasoned that Peniel came from abroad and is apart from his parents, hence the loneliness might be too cruel to feel for a long period so a relationship is given to happen in order to make him feel less lonely. 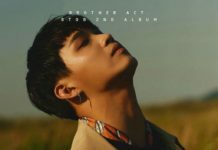 Peniel, who became the spotlight in this talk, joined the forum saying that he will start dating right away and actually was going to marry at the age of 25 or so and have a child right after traveling with his wife. However, Peniel added, his plan has changed because as of now, he is busy with working. 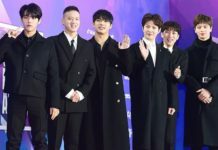 Furthermore, the DJ of radio show Kim Chang Ryul asked whether BtoB took an interest in any girl group during their activities, which was answered by the leader Eunkwang saying that the group became close with Nine Muses during their recent promotions and its core member Kyungri turned out has to be the same age as him. When he was being teased by Kim Chang Ryul about his new friendship with Kyungri, Eunkwang quickly dismissed further ideas which implied dating by saying that he just wants to be friends with her. Ugh, how cute! 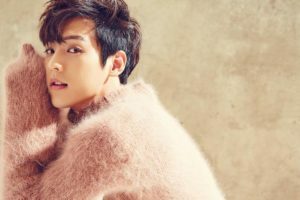 When it comes to love and dating, BtoB member Lee Minhyuk perhaps is considered to have plenty of stories regarding the subject. On 18 February 2014 Minhyuk became a guest on Mnet ‘Beatles Code 3D’ and revealed that he had a long unrequited love as there was a girl whom he had liked for four years straight. At that time, Minhyuk was obviously a persistent man because he confessed to her not only once but five times because he(although he did not say it directly) was rejected numerous times. Fortunately, when the girl whom he had a crush on turned twenty years old, Minhyuk was accepted to be her boyfriend. In the relation to that girl, Minhyuk disclosed that the girl and him have resemblances such as the height, blood type, apartment number, and eyesight, making them be lovers with an uncanny destiny. 2017 became a year of the roller coaster for BtoB’s Minhyuk as he is involved in a dating scandal with an ex-girlfriend. It started when Minhyuk came across a picture of someone who looks like his ex-girlfriend on LINE message application and got curious about how she was doing, so he just texted her by personal message on a social media account. 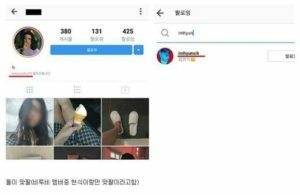 Not long after, a guy who is apparently the new boyfriend of Minhyuk’s ex-girlfriend left a comment on one of the photos on Minhyuk’s Instagram, saying that the ex-girlfriend thinks that it is embarrassing that Minhyuk keeps contacting someone who has a boyfriend. 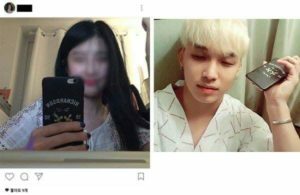 The boyfriend of Minhyuk’s ex-girlfriend also told Minhyuk to wake up, get to his senses while thinking of his fans, and stop approaching his ex-girlfriend. 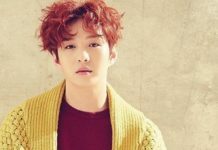 After the ruckus made on his personal Instagram account, Minhyuk quickly wrote a clarification post on BtoB’s fancafe to clear the misunderstanding and rumors that had been circulating on the internet forums. In the end of his post, Minhyuk asked Melodies (the fan club name of BtoB fans) to believe in him. However, after the fancafe post got released, the chaotic situation did not decrease because Minhyuk’s ex-girlfriend and her boyfriend left even more comments on another one of Minhyuk’s photos, claiming that Minhyuk declared the relationship only by himself as she had never dated him and that what Minhyuk had written on the fancafe was entirely different than what had actually happened. 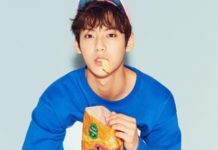 As the dating controversy got even more frenzied by the couple’s statement, at last, the agency of BtoB’s Minhyuk, CUBE Entertainment put an official statement which confirmed Minhyuk’s statement on the fancafe post, saying that Minhyuk and his ex-girlfriend indeed had dated for 4 months and chose to break up in a good manner while remaining good friends and that they checked up on each other’s condition from time to time. 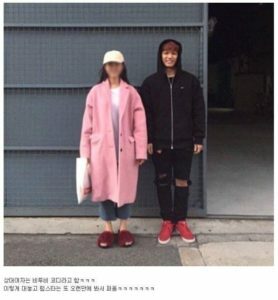 To conclude the hullabaloo, Minhyuk’s ex-girlfriend put a long post on her Instagram account, still insisting that she and Minhyuk had never dated and only knows him as a friend through an acquaintance five years previously. 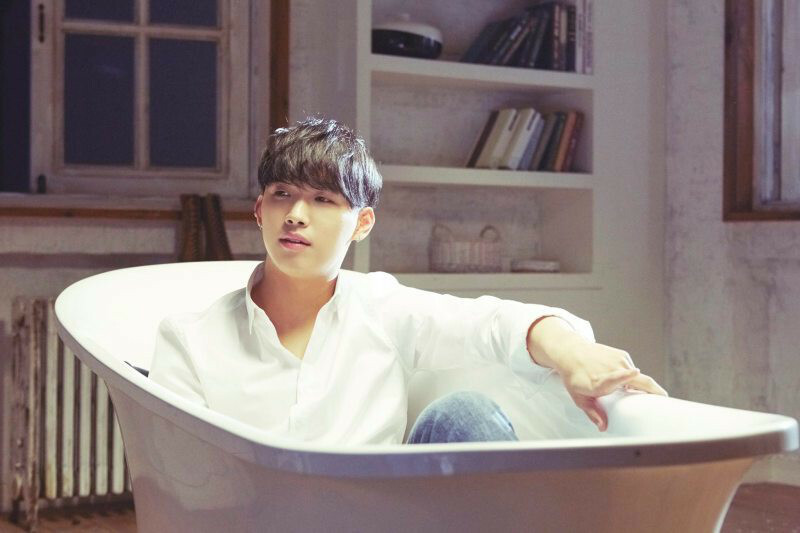 The second member of BtoB which we will look at is Hyunsik, who is famous for his endearing eye smile. 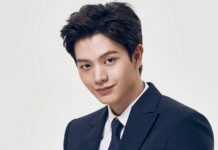 But fool you not, dear readers, because even though his smile is radiant, he turns out to be a manly guy who has a great body and a gentle manner. Hyunsik’s gentleman-like manner seems to capture the heart of women, including his own stylist coordi (a person who organizes the celebrity’s outfits on promotional time and events). 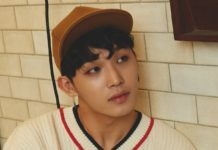 The fans of BtoB, who are otherwise known as Melodies, noticed that Hyunsik is the only BtoB member who follows his coordi. 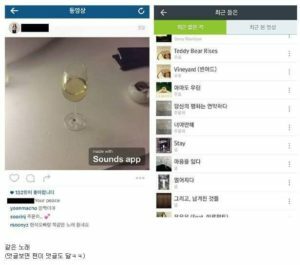 Moreover, there are similarities in what Hyunsik and his coordi posted on their Instagram account, such as phone case, pants, listening to the same song, and attending the same exhibitions. 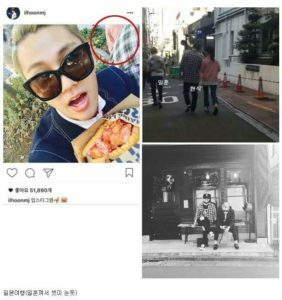 Hyunsik and his alleged coordi girlfriend also went to Japan together with Ilhoon. Up until this article was written, there is no clarification regarding the real situation between Hyunsik and his alleged coordi girlfriend. Many fans have speculated about whether Hyunsik is dating in secret while the others think that actually the coordi already has another guy who is her real boyfriend.